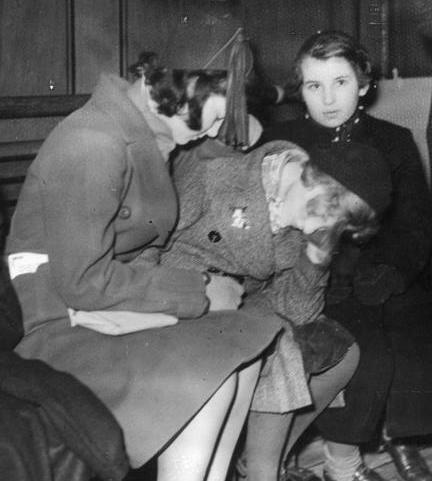 The German government has recently confirmed that it has agreed to pay $2,800 in compensation, as a one-off payment, to each surviving person who was evacuated as part of the Kindertransport program. The people affected were mainly German Jewish children, many of whom never saw their parents again. It is estimated that there are approximately a thousand survivors remaining today, half of whom are living in Great Britain. Jewish youth liberated at Buchenwald lean out the windows of a train, as it pulls away from the station. 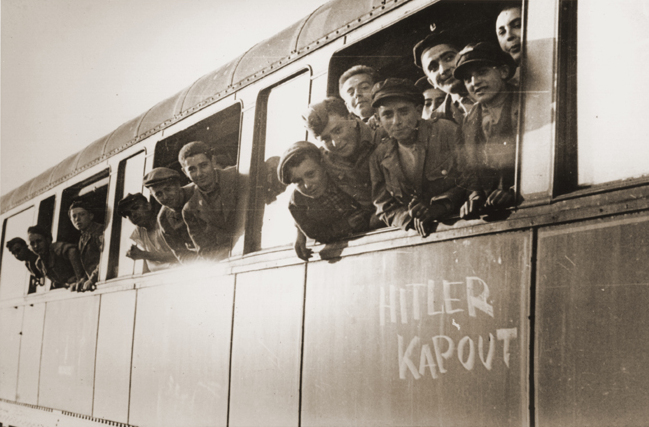 The train, which has been marked with the phrase “Hitler kapout” (“Hitler is finished” in several European languages), will transport the children to an OSE home in Ecouis, France. 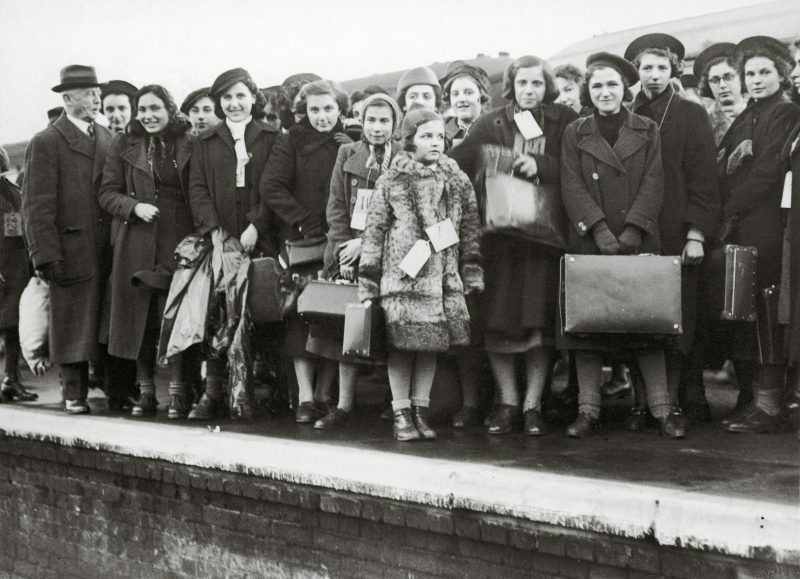 The Kindertransport was the brainchild of Jewish groups working inside Hitler’s Germany to secure the welfare and safety of Jews living under the Nazi regime. Days after the infamous Kristallnacht, which saw the shop windows of Jewish businesses shattered and families terrorized, the British government agreed to take in unaccompanied Jewish children up to the age of 17. At first, it was estimated that up to five thousand children may have been successfully transported to Britain and found temporary homes with foster families or on farms. Legislation was introduced to allow children to immigrate as part of a group rather than make individual applications. 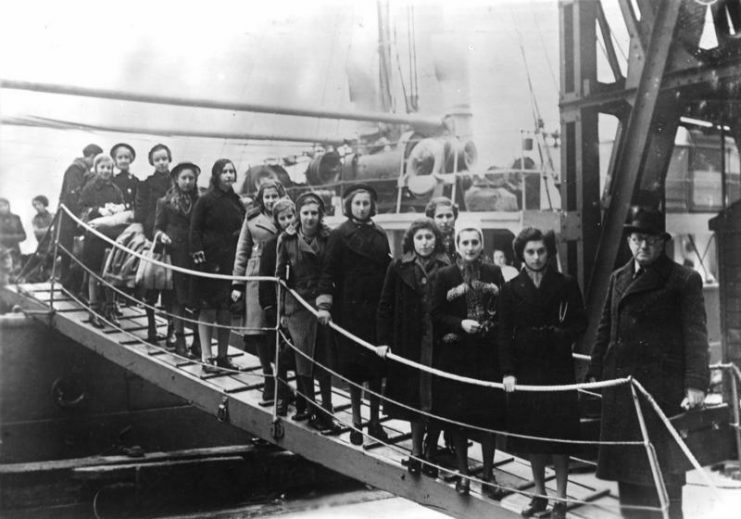 The first group of almost two hundred children arrived in the Port of Harwich at the beginning of December 1938, just three weeks after Kristallnacht. 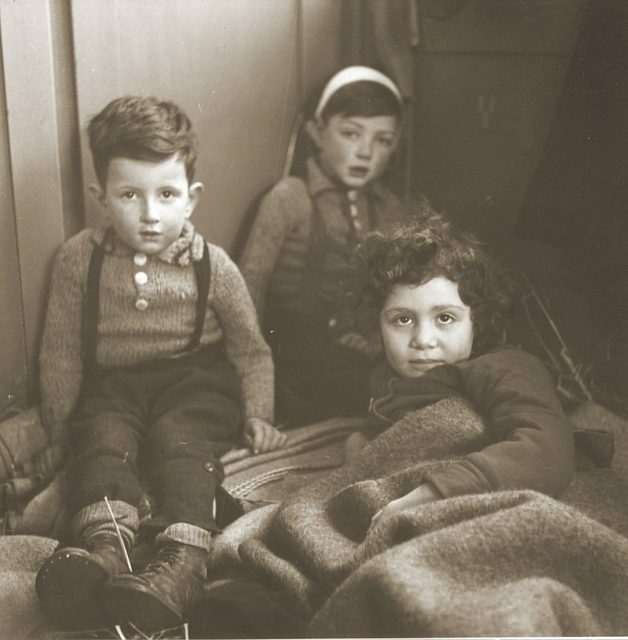 In the next nine months that number would rise to almost ten thousand unaccompanied children, with a final transport arriving from the Netherlands on May 14, 1940. A day later the Nazi invaders closed the Dutch borders. 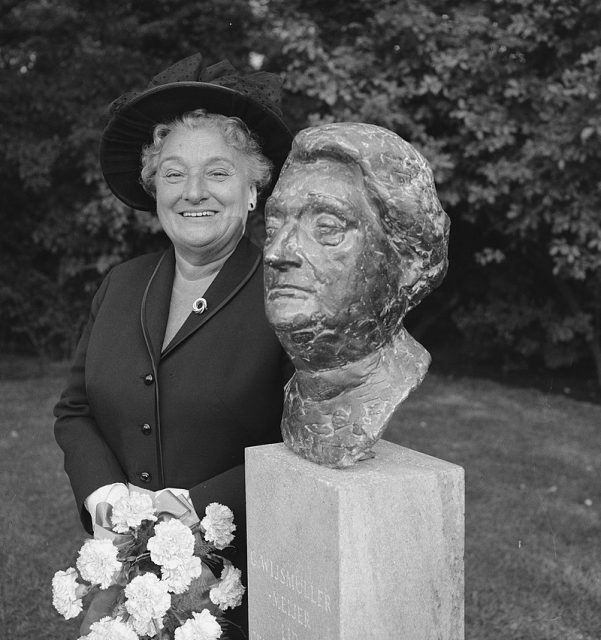 Geertruida Wijsmuller-Meijer is celebrated as a Dutch war heroine and is credited with being the driving force behind the rescue of the children via the Kindertransport. Between the world wars she became involved in social work, and eventually organized the removal of Jewish children from Germany and Austria, through the Netherlands to Britain. When she visited Vienna to negotiate with Adolf Eichmann, who went on to organize the transport of adult Jews to Auschwitz, he gave her six hundred children in an alleged attempt to overwhelm her. She managed to get five hundred of them to Harwich while the remainder stayed on in the Netherlands. Many of the children lived with foster families during the war while some older children were eventually interned as aliens. Some lived in communal hostels run by charitable Jewish groups in southwest England. Regardless, by the end of the war, they had survived when others had not. Approximately a thousand German and Austrian children, having reached the age of eighteen, were given the opportunity to join the British armed forces, where they were able to employ their language skills during D-Day and the invasion of Germany toward the end of the war. At the end of hostilities, agencies were set up in order to reunite children with their parents or other surviving relatives. Bob Kirk traveled back to Hanover in 1949 and discovered that his parents had been transported to Riga in 1941. They never returned. His father’s business was being run by two former employees and all records had been lost. There was nothing left for him in his old home town. Bob returned to Great Britain where he met and married Ann Kuhn who was also a Kindertransport survivor. Her parents both perished at Auschwitz. 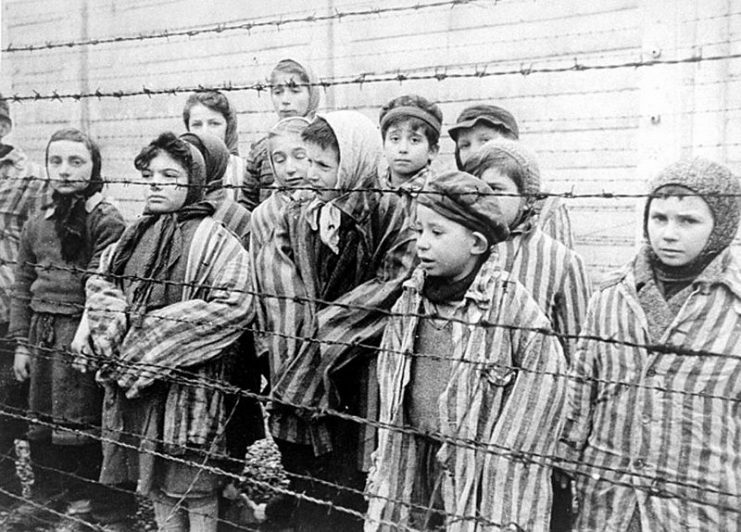 These children were liberated from Auschwitz January 1945. While some compensation was paid out to survivors in the 1950s, this new payment is separate and in addition to any other monies received. Since 1952 the German government has paid out almost $80 billion in reparation payments to individuals in recognition of loss or suffering incurred by the Nazi regime.